Here at AVM, we are industry experts in offering a range of comprehensive services. We specialise in providing our customers with professional services paired with great customer service. The team are extremely friendly and would be happy to answer any of your queries about the services we provide. Here at AVM, we offer Storage, Shipping, Removals and logistics. All the professional services we offer will be completed in a professional but efficient manner. 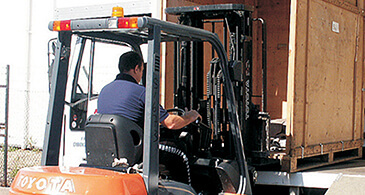 We are able to supply our storage service facilities to a wide range of clients. We are able to provide a professional storage service that is completely flexible to your individual needs. The storage facility we offer is perfect for domestic storage purpose as you will have full access to the storage facility. The storage facilities are also great for commercial use. No matter what your storage needs are we are here to help. The team here at AVM have great experience in providing international shipping to a wide range of clients. We have shipped all sorts of items including caravans and boats to many destinations. The team takes great care to ensure all the items that we ship are safe and packaged correctly. We will take great care with all of your shipping needs and this is why we are a recognised and reputable brand name for providing international shipping. Here at AVM, we provide professional removals to the city of Oxford. We have experience in providing both domestic and commercial removals to a wide range of clients. The friendly team will ensure that the removal goes smoothly and efficiently. We are able to provide a logistics service to a wide range of customers throughout the Oxford area. We offer a competitive price for the logistics service. Here at AVM, we can offer one man or two man options to ensure that we can provide the perfect service for your specific needs. The team is greatly experienced in what they do, taking pride in completing delivery efficiently and with great punctuality. If you are looking for a reliable logistics service look no further. The collection and management service is something that we take extremely seriously here at AVM. We take pride in being extremely punctual. We provide a professional collection management service. Prices are quoted on an application and are determined by customer requirements i.e. the volume of product, the quantity of the order, delivery timescales and distribution areas. Copyright © 2015 AVM-Shipping-Storage. All Rights Reserved.